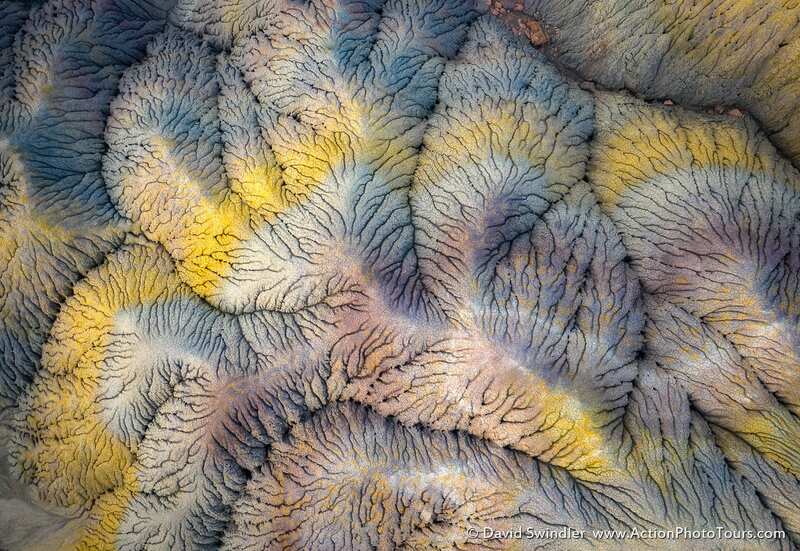 Another image was selected as a finalist! Click the link to view all finalists and the winners. 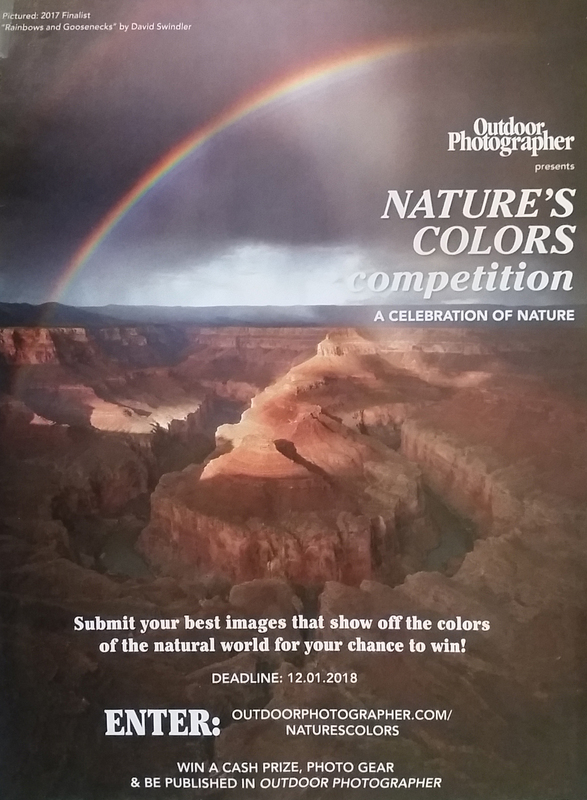 One of our images was selected as a finalist for Outdoor Photographer's Nature's Colors Photo Contest. The image was used to promote the next year's competition! David does an interview for VoyagePhoenix, a website that showcases local small businesses and artists. Click to read the interview. Matt Payne interviews David for episode 31 of his podcast. 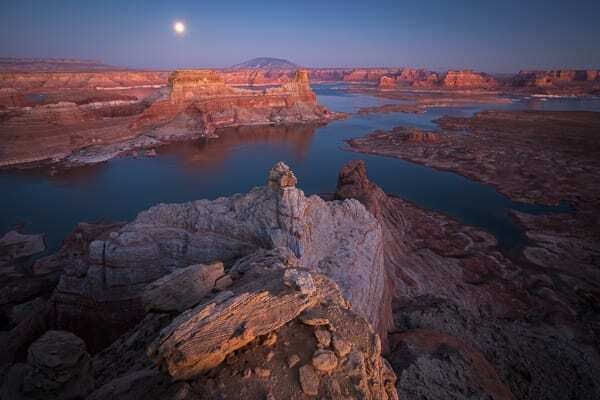 They cover many topics including using failure as a teacher, finding a good composition, and impactful moments in landscape photography. Click to listen to the entire audio. 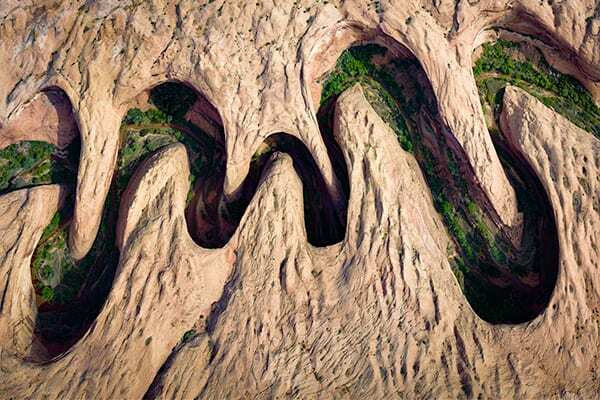 One of David's Southern Utah images was selected by the DailyMail as one of the best images entered into the 2017 National Geographic Nature Photography Competition. Click to read the full article. 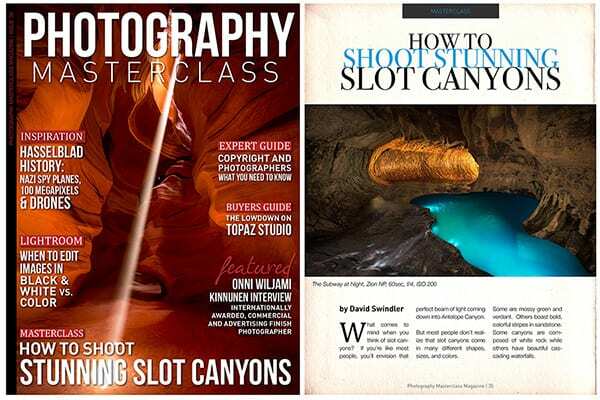 In this article, David Swindler gives his favorite tips for shooting stunning images in slot canyons. 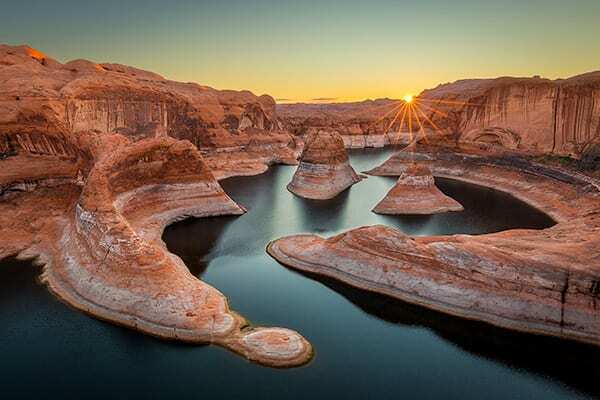 David discusses the logistics behind visiting slots canyons, what kind of camera gear you need, and many tips for compositions. Click on the photo or link above for the full article. 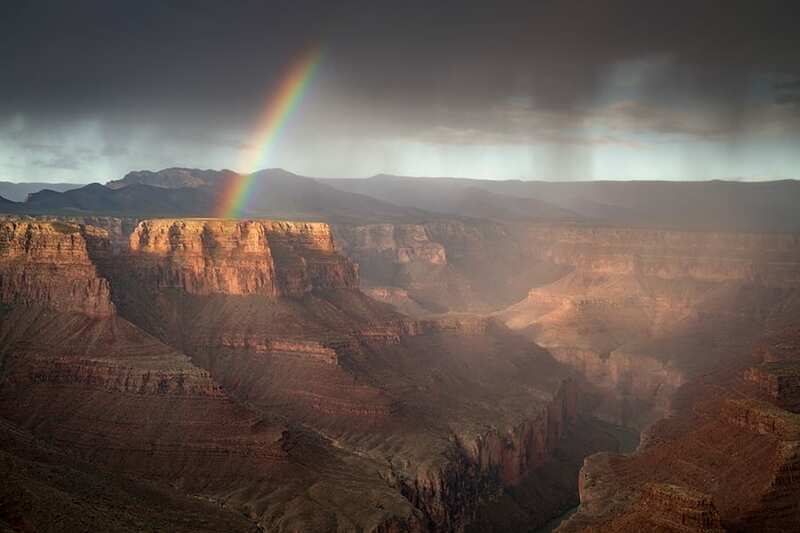 This fun article by the Daily Mail features David's photos from Southern Utah. 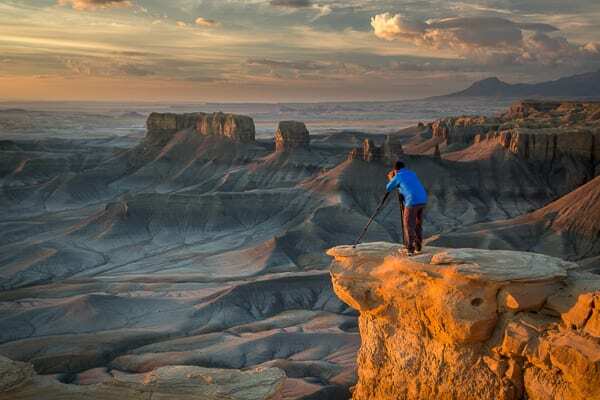 Most of the photos include people to help connect the viewers to the incredible landscape. 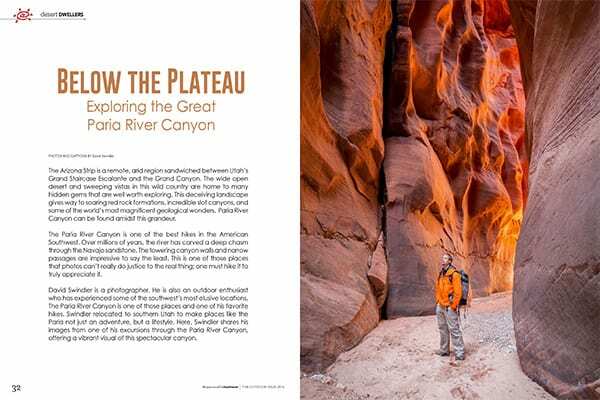 Click on the photo or link above the full article. .
Come see the stunning scenery tucked away under the towering canyon walls of the Paria River Canyon. 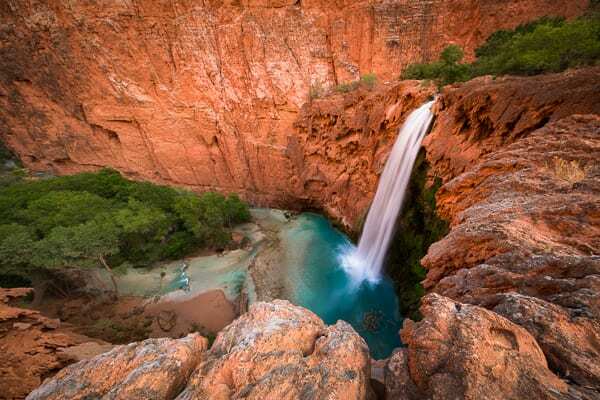 This article showcases a 3-day journey through this remarkable part of the Arizona Strip. Click on the photo or link above the full article. 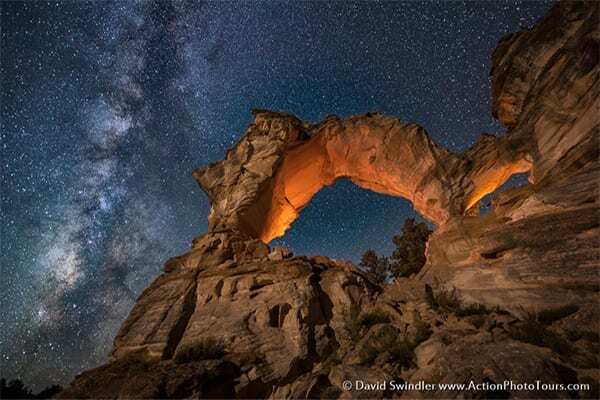 This informative article discusses David Swindler's background, his love for photography, and how he came to start his company Action Photo Tours. click on the photo or link above for the full article. 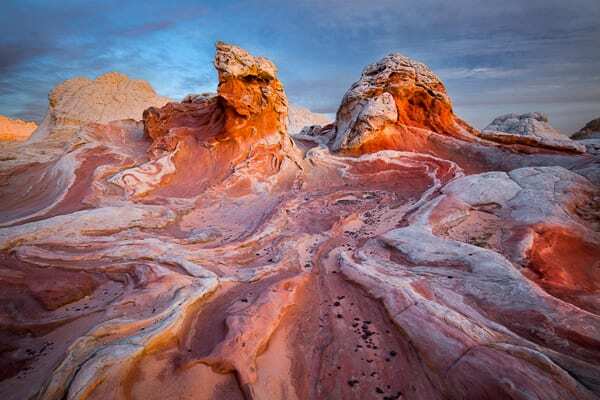 Read this informative article on White Pocket and what makes this area so unique. 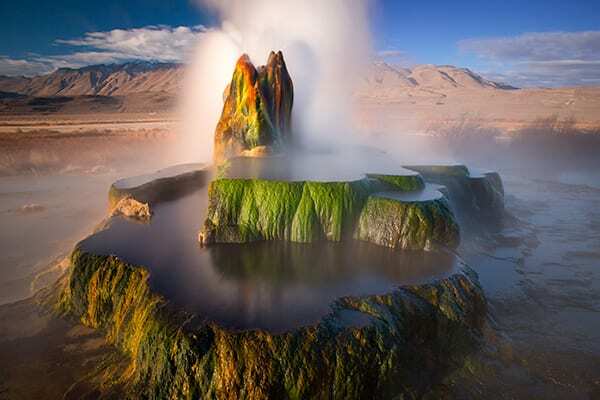 David Swindler's images were used for the article to highlight some of the bizarre features the area is known for. 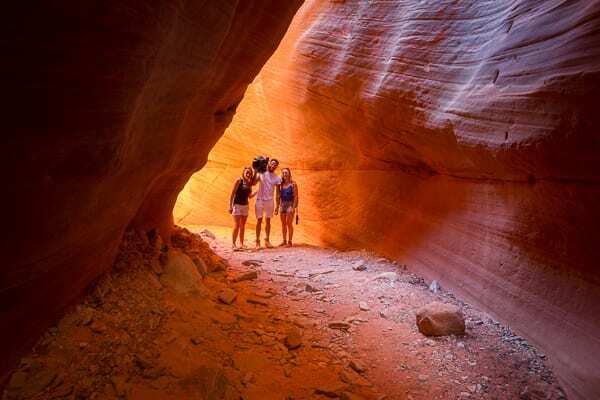 This clip aired on the largest news station in France and shows a photo tour through one of the slot canyons near Kanab. Several tour participants were interviewed and a lot of beautiful footage was captured. Click on the photo or link above for the full footage, in French. Tamrac, a manufacturer of quality photo accessories and gear, featured David on their blog. Learn what the top 3 things he has learned in becoming a photographer. Click on the photo or link above the full article. The show At Your Leisure produced a short clip about Action Photo Tours. 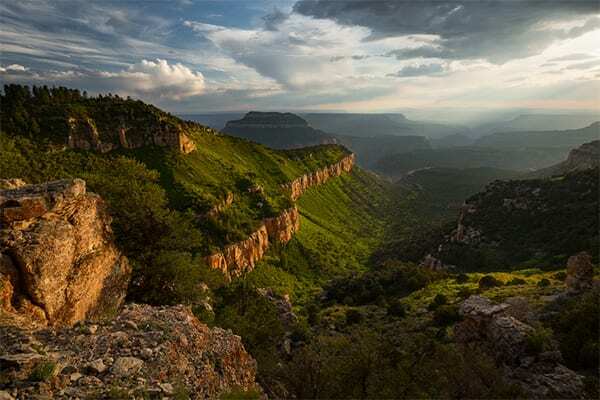 See first hand the terrain David and the guides drive through during their photo tours. The clip contains many interview segments with David. Click on the photo or link above for the full video. Daily Mail - Polar Bears Chasing Our Boat! Watch this entertaining video clip as some curious young polar bears swim after our boat during a photo tour. We kept moving away but they would only swim faster! Click on the photo or link above for the full video. 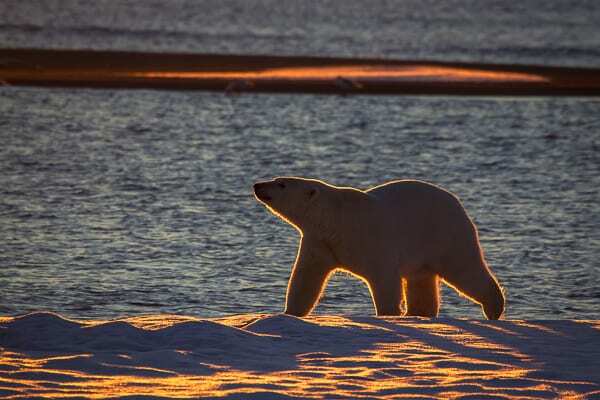 This article is full of David's impressive polar bear photos from Alaska's North Coast. 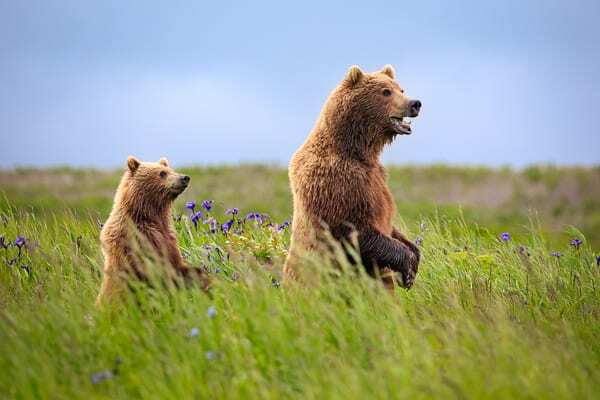 See the bears playing, dancing, standing tall, chasing food, or just relaxing. It's great to see how personable these bears can be. Click on the photo or link above for the full article. 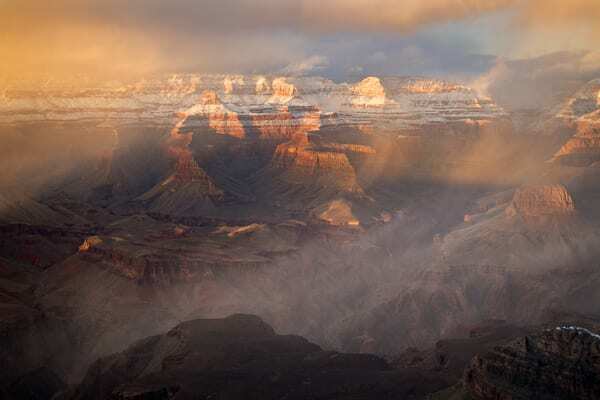 Produced by Article Mott, this piece features many of David's landscape photographs. Learn more as he tells the story behind his captures. The article is in spanish, but can be easily translated. Click on the photo or link above for the full article. Join photographer David Swindler as he expounds on his 8 most important tips for photographing bears, his favorite wildlife subject. 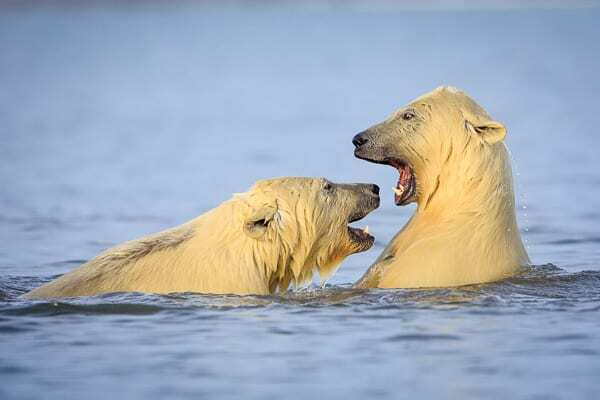 He has lots of experience photographing both polar bears and brown bears in Alaska. Click on the photo or link above for the full article. Liz Adair is an award-winning fiction writer best known for her work about life in the desert. In this piece, she interviews David about his inspirations and photography. Click on the photo or link above the full article. 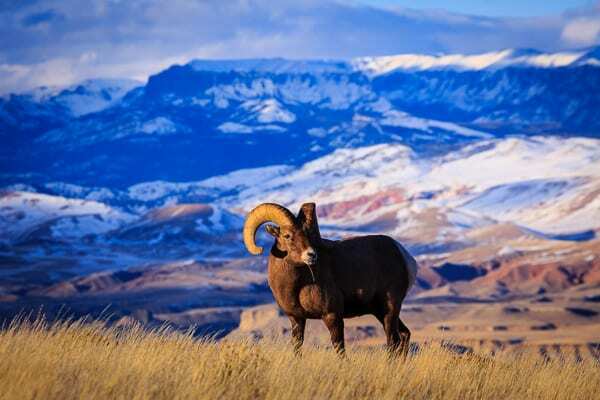 This entertaining video clip shows bighorn sheep giving dirty cars a tongue-licking wash! And David was there to document it all!! Click on the photo or link above for the full video.